Infrabel – the Belgian railway infrastructure manager – takes both preventive measures and carries out real-time intervention to prepare the Belgian railway network and to keep it running smoothly through the autumn and winter. 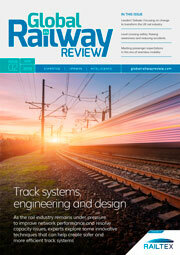 In this article for European Railway Review, Luc Vansteenkiste, Director of Asset Management, and Ann Billiau, Director of Traffic Management and Services, explain Infrabel’s strategy and its most important measures. A well-maintained rail network forms the basis of an excellent service for all our customers. These are the railway operators for passenger and freight traffic (our direct customers), as well as the ports, airports, terminals and approximately 200 industrial companies that are connected to our network (our indirect customers). Providing a high-quality service also constitutes our main focus and the priority for the approximately 800,000 passengers and commuters who take the train every day. To expertly fulfil our role as an infrastructure and network manager requires a well thought out organisational and operational vision as the basis for a tailor-made service. This allows us to meet the needs of our customers every day, 24/7. Each day approximately 4,000 trains run on our star-shaped network: 3,500 national and 100 international passenger trains as well as 400 freight trains. Through its traffic coordination centre in Brussels and its signal boxes spread strategically across Belgium, Infrabel is responsible for the safe and smooth running of all of these trains on the Belgian railway network. Belgium is a heavily-used railway network and with its 3,600km of railway lines and approximately 6,500km of main lines, it is also one of the busiest European networks. To keep all of this working in perfect order, Infrabel applies a strict maintenance and replacement policy. This proves its worth during the autumn and winter months when the challenging weather conditions make huge demands on our infrastructure and track installations. Every year 1 October is a red-letter day in Infrabel’s calendar owing to the extra vigilance that’s required from this day onwards. The various Infrabel departments are trained for this and receive weather forecasts from Belgium’s Royal Meteorological Institute (the KMI) several times a day. The highly specific, regular weather reports contain detailed regional information and provide us with warnings of those weather events that can worst disrupt rail traffic: leaf fall, humidity, wind, frost, ice and snow. Infrabel’s technical teams are then in a position to get organised and take the necessary preventive measures in advance, in the light of these weather forecasts. Amongst other things, these include targeted inspections of the different components of the railway infrastructure. In this way we are able to detect any potential vulnerable points on the rails and the overhead lines (approximately 90% of the Belgian network is electrified). 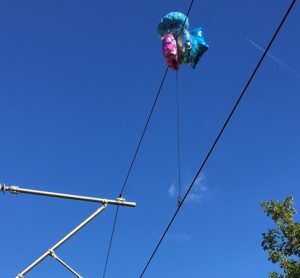 This is vital because in the event of major drops in temperature such lines can potentially break, which has serious implications for rail traffic. During the months leading up to 1 October our ground crews check that the heating installations on our (4,250) sets of points or switches on the main lines and in major stations are working properly. This points heating system serves to prevent snow and ice from stopping the points working and is controlled automatically from the signal boxes; being energy-efficient as its operation is adjusted in line with the known temperature. In addition, our Infrastructure Logistics Centres are well-stocked with plenty of gritting salt, sand and anti-freeze products. The maintenance and modernisation of the railway infrastructure is carried out from these strategic maintenance centres that also manage on-site call-outs of our technical crews. During autumn and in the run-up to winter, one of the laws of physics means that ‘steel-on-steel’ now simply offers less adhesion. This is further exacerbated when the rails are slippery due to rain, ice and the sap from falling leaves plus any traces of grease left behind by rolling stock. The result is a slippery film coating the rails. The lack of grip of the steel wheels on the steel rails is one of the phenomena that has the greatest potential to disrupt the punctuality of rail traffic, particularly in woodland areas and where there are many slopes. To clean up the remains of falling leaves from the tracks, Infrabel deploys four special cleaning trains from mid-October onwards. In order to minimise interference with rail traffic, these special trains run exclusively at night and follow a schedule that is defined for each cleaning train for the affected railway lines. During operation these cleaning trains firstly spray water onto the tracks and then immediately double back to clean them in a second phase. This is performed by applying the brakes causing the wheels to scour the leaf debris from the tracks. Infrabel uses these processing trains particularly in the Walloon provinces of Namur and Luxembourg, and on the main railway routes from Namur, Charleroi and Halle into Brussels. On the major freight line between Namur and the French border a number of freight trains are permitted to travel in both directions using the opposite track at night. These trains apply their brakes on the descending slopes and in this way successfully clean the track. In addition, the signalling staff monitor the smooth transit of heavier trains in hilly regions. 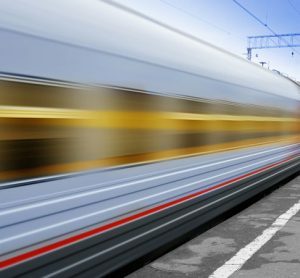 Other measures that assist the cleaning process include load restrictions for some trains; specific instructions to train drivers; and, in addition, Infrabel is testing potential new technologies with the aim of extending its action plan in the future. As soon as the first signs of winter appear, one of the biggest enemies of punctual rail traffic is the build-up of ice on the overhead lines. This affects the power supply for electric-powered trains and can even completely halt some trains. To prevent this from happening Infrabel organises special train runs to scrape the ice off the overhead lines in the areas around Liège and Luxembourg, as well as in Brussels (the high-speed line to France). A technique currently being tested by Infrabel is to slightly heat the overhead lines up until the first passenger train passes through in the morning; this enables overhead lines to be slightly heated thus eliminating the ice. This new measure is to be carefully co-ordinated with the relevant rail operators and is not yet in operation. Internal alarm messages or ‘triggers’ are sent for these and all other winter and autumn measures so that railway staff are able to take the required action. Another challenge for our railway network is heavy snowfall combined with intense wind. Under these conditions the points heating system alone is no longer sufficient, but Infrabel can still fall back on mobilising its snow ploughs. Dozens of teams are on standby on a shift system throughout Belgium to go out from maintenance centres and clear snow locally from tracks, points, level crossings and platforms. 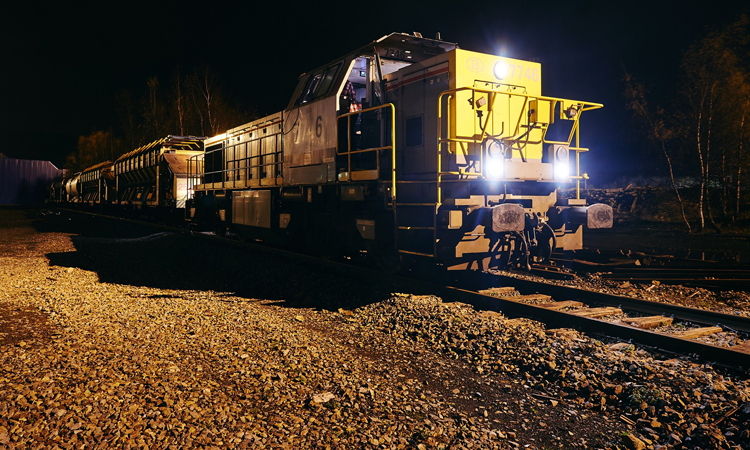 They operate in real-time 24 hours a day in all weather conditions to resolve local problems as quickly as possible – all with the aim of keeping the rail traffic running smoothly. Unlike events that may occur in some of our neighbouring countries, to date rail traffic has never been brought to a standstill in Belgium as a result of adverse or extreme weather conditions. It is possible however that, in consultation with the rail operators, a decision may be made to temporarily reduce the speed on certain lines or adjust the train service in order to always be able to guarantee safety, as this is our top priority. 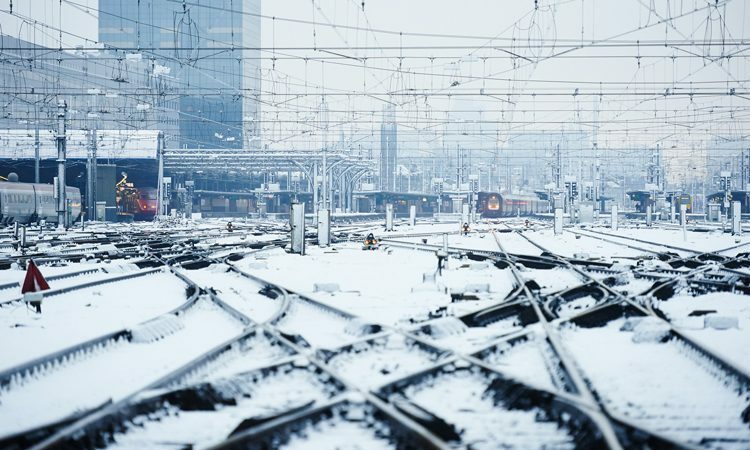 On 12 March 2013 the Belgian railway network had to deal with an exceptionally severe and late cold spell with drifts of snow up to 1m-deep; mainly in Flanders. Approximately 2,000 people from Infrabel were then deployed during a 24-hour period to cope with the extreme cold snap and minimise disruption to passengers. Infrabel used this incident to further refine its winter plan with some additional preventative and real-time measures. Through the joint deployment of many thousands of staff from Traffic Management and Services (Railway Operations Centre and the signal boxes) and Asset Management (Logistics Maintenance Centres and ground crews), Infrabel is constantly doing everything in its power to manage rail services on the Belgian network smoothly and safely. Together we are strong and – even in autumn and winter – we are able to provide a high-quality service to all of our national and European customers. Prior to her present role of Director of Traffic Management & Services at Infrabel, Ann Billiau held a number of positions for the Belgian railway infrastructure manager since 2005, including Director-General of Rail Access, Account Director of the Rail Access Directorate and Head of the Department for Customer & Products in the Rail Access Directorate. Furthermore, Ann is also a Member of the Management Board of Infrabel. Ann has also held positions at SNCB including Project Leader for ICT Projects and Account Director of the ICT Department. She is a Master of Mathematics and a Master of Advanced Studies in Geophysics, as well as Member of the Board of Directors of TUC Rail, Chairwoman of RFC2 and Vice-President and Member of the Managing Board of RNE. Luc Vansteenkiste has a Bachelor’s degree in Information Science and has been Director-General of Asset Management at Infrabel since 2011. Luc’s career has seen him be Administrator-Director of Eurostar Group Ltd. & Eurostar UK Ltd. (1998-2000), Managing Director of RMF (2002-2004), General Manager of ICT of the SNCB (2000-2004), Managing Director of Rail Access at Infrabel (2004-2011), and Chairman of RailNetEurope (2005-2012), plus Administrator at TUC RAIL.